Digital4U is a Digital Marketing Agency that offers a variety of services to its clientele, covering a 360 range of services in Digital Brand Advertising, depending on the customized needs of each business. The company was founded in 2013, investing in the talent and the experience of a team of Digital Marketing experts, aiming to contribute efficiently with their knowledge, ideas, fantasy and their tremendous experience of the Online World, to businesses that envision their growth and success in the Internet. Our goal is to assist your business with the most suitable, customized mix of Digital Strategy, advertising your brand to the largest possible number of potential customers, making the best use of creative designs, detailed market research and study of your own business and brand. 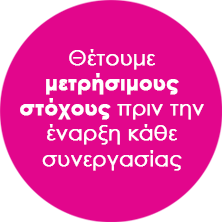 Within 4 years, Digital4U managed to attract a few of the most popular brands of the Greek market and to introduce innovative services in the dynamic field of Digital Marketing. We are highly proud of our team, our partnerships and the successful joint results we have achieved with the professionals and the businesses that entrust their digital progress to us. We continuously expand our network, maintaining offices in Athens, Thessaloniki and Larisa, occupying 40 talented executives. 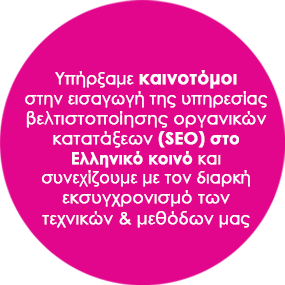 Has introduced innovative SEO methods- Search engine optimization trailblazers in Greece. Today, we count 300 happy clients. Has invested in the development of a package of services for the purpose of a full-width Digital Brand Advertising for businesses and professional entities. The digital campaigns we have undertaken, have introduced advanced methods of design and execution, implementing out-of-the-box ideas. Today, we count more than 50 successful digital campaigns in our portfolio. • Has started with given priority to the development of optimized e-shops (SEO, CRO). Taking the development of e-shops to the next level, we have successfully completed more than 100 projects so far. Has been awarded with the international Award of Innovation and Website Design by Awwwards Institution.